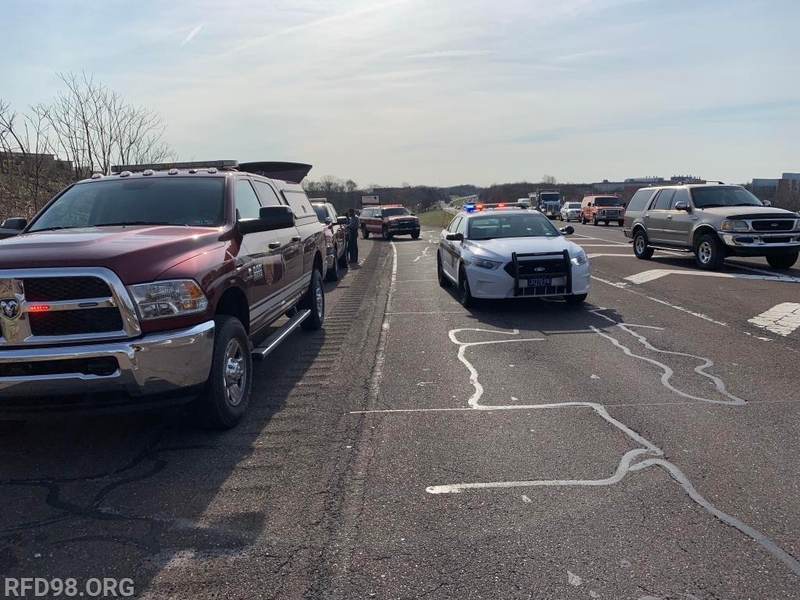 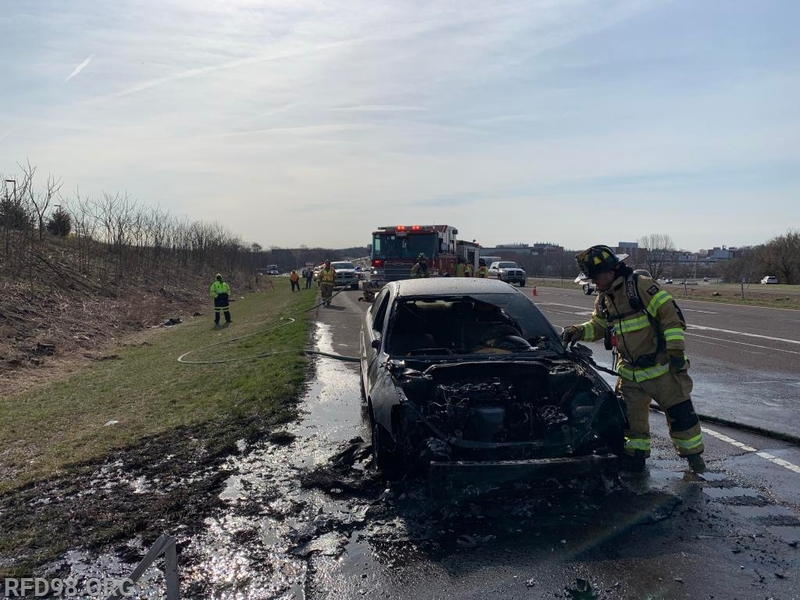 As the morning rush was wrapping up, RFD along with the Black Rock Volunteer Fire Company & Upper Providence Township Fire were dispatched to Route 422 Westbound at the Collegeville exit for a vehicle on fire. 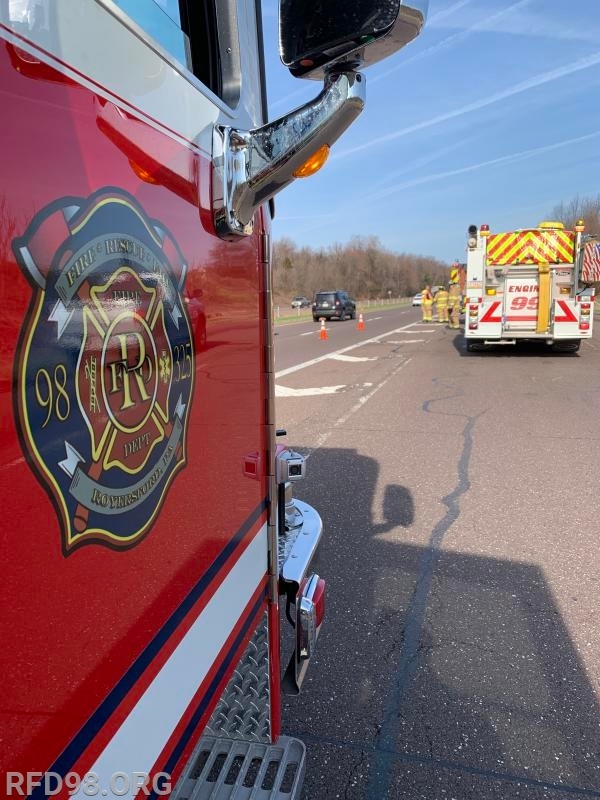 Crews arrived to find one vehicle on the shoulder with active fire in the engine compartment spreading throughout the vehicle. 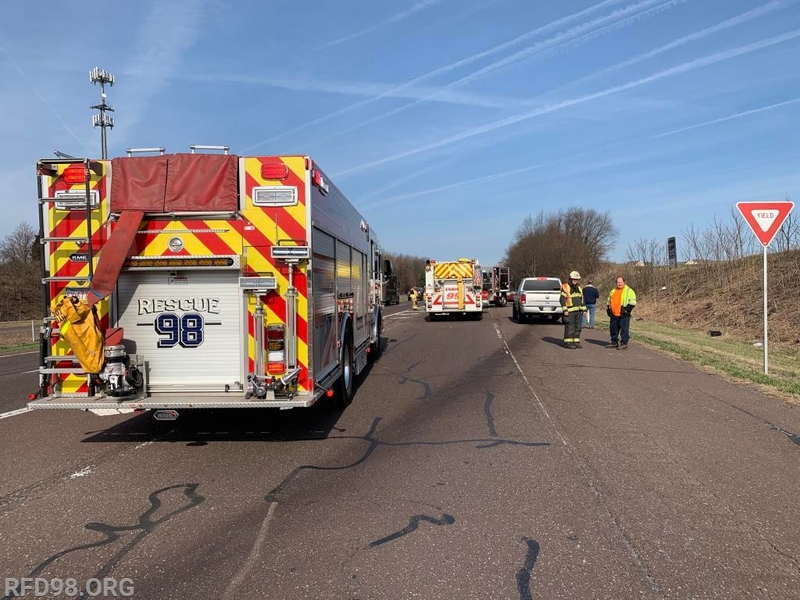 Crews closed the right lane of the highway and extinguished the flames before reopening all lanes of travel.